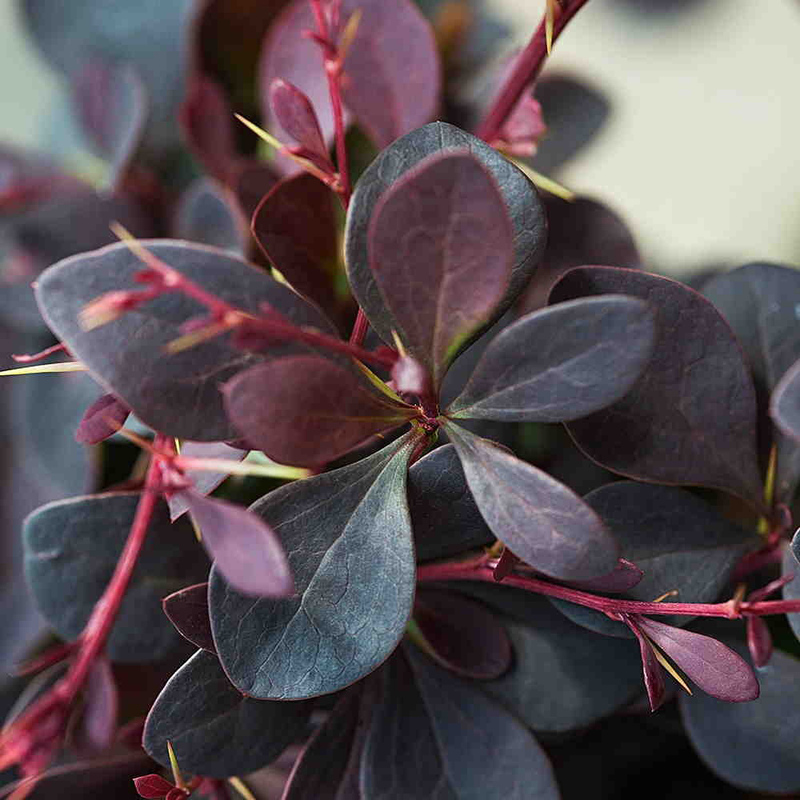 Berberis thunbergii atropurpurea (Purple Berberis) is compact and slow growing, so they are ideal for low (ideal at up to 1m) but prickly hedges and are a very good option as an alternative to Box (Buxus sempervirens hedging) - especially if you have Box blight in the garden. You can see heaps of low growing hedging plants in our dedicated section. Berberis thunbergii atropurpurea has purple leaves. Prince Charles has a Purple Berberis hedge in one of the garden rooms at Highgrove! Berberis thunbergii atropupurpurea is deciduous and boasts yellow flowers in spring and orange fruits adorn their branches in late autumn. 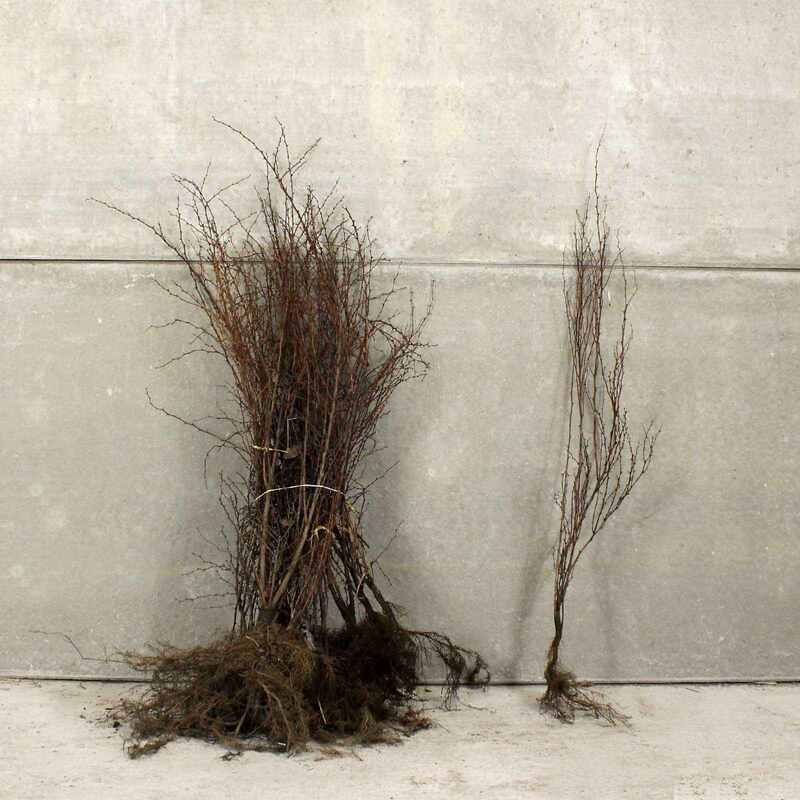 They are tough, easy to grow hedging plants which do well in virtually any soil and situation including coastal, though they do like sun or partial shade. 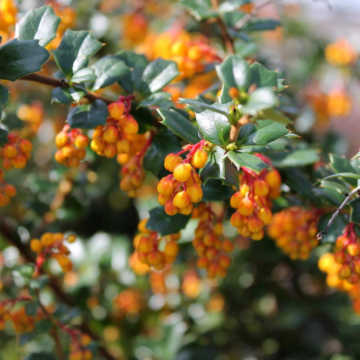 See all of our guide to Berberis hedging plants. 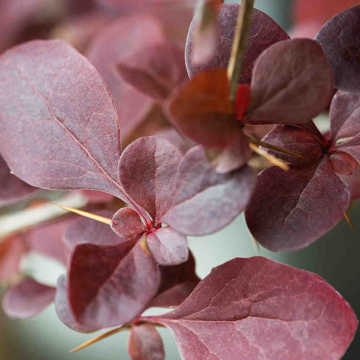 For an alternative, slightly taller purple/red leafed prickly hedge, take a look at Berberis Red Leaf or, for a variegated pink/cream leaf, try Berberis Rose Glow. 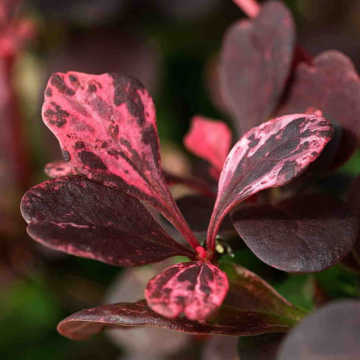 See also our entire range of evergreen hedging plants, hedges with berries and our hedging with colourful foliage. 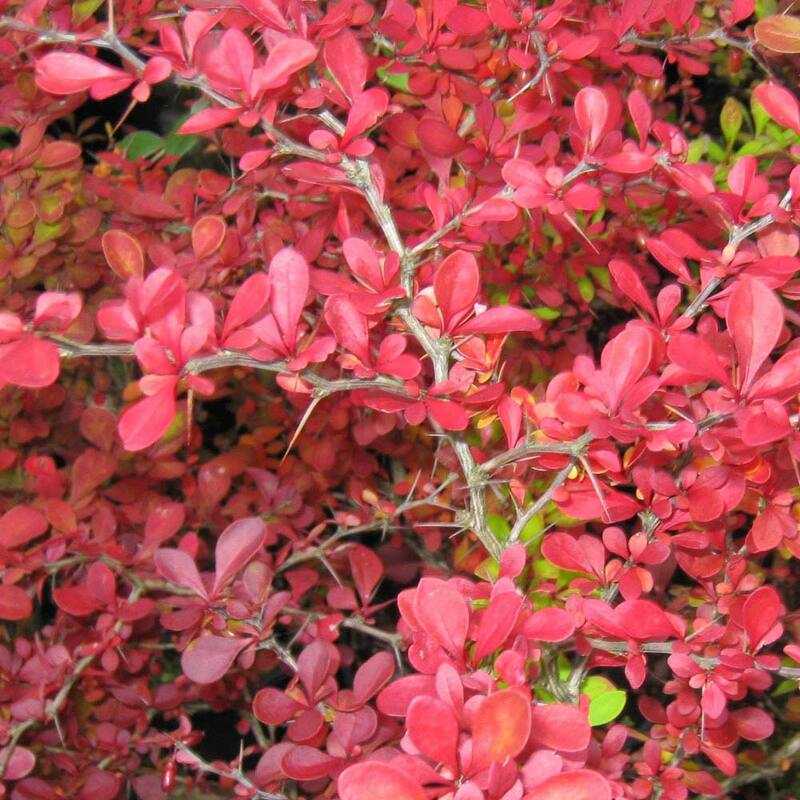 If a species of Berberis isn't exactly what you are looking for in a hedge, we have lots of alternatives and suggestions for all types of planting situations and feature preferences on our Choosing the Right Species page. Berberis thunbergii atropurpurea hedge trimming should be done immediately after flowering.